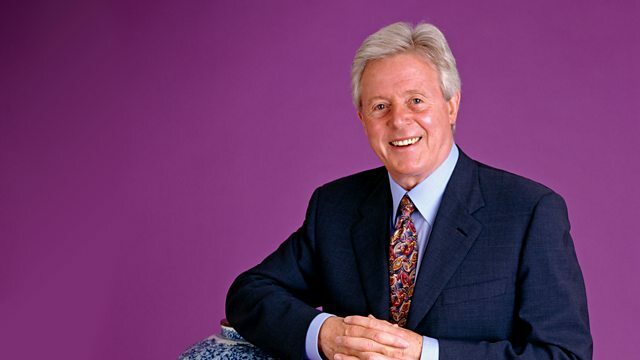 Michael Aspel and the team kick off their 30th anniversary celebrations in Hereford, with a tantalising taster of the special locations to come in this series. Browse content similar to Hereford. Check below for episodes and series from the same categories and more! because it is 30 years old. in fact everything we've had a look at over the past three decades. And for this season, we've found some spectacular locations. British mainland, the castle of May, much-loved by the Queen Mother. setting up camp in its world-famous gardens. There are a couple of cathedrals on our list - Coventry and Rochester. But that's all miles and months ahead. a good choice because this is where it all began. It was introduced to an unsuspecting world by Bruce Parker. a beautiful cathedral city on the River Wye. but it immediately became a roaring success. That old British stand-by, the queue, had suddenly found a new expression. And as affection for the Roadshow grew, so did the crowds. The BBC had to look for larger venues. we've taken over not only the theatre, but the foyer as well. the Courtyard goes from strength to strength with each passing year. Happy birthday, everyone. Welcome to the party. I, um...havered about this object. -So you've known it from since childhood? And the legend has been about this question about India and China. -Where does the India come from? I don't know whether it's true or not, this is going way back into history. I mean, I simply don't know, and I'm here for you to tell me. -I'm going to squash the Indian bit completely. -is known in Japan as shibayama and we see it quite a lot. And my first impression was, shibayama. This is far better technique than the Chinese could do. -But I'm now convinced that this is Chinese. a Chinese object was this saddle cloth. But if you look at this man's face. -That is a Chinese face. -it wouldn't look like that. -It would be much more characteristically Japanese. Because they can't escape from that. and suddenly the whole thing implodes and becomes something different. And I love that, you know, let's prove ourselves wrong. And it's a very rare plaque indeed. -Which would have stood on a scholar's table. Well, 15 for insurance, if you insist. -I went to visit my aunt about 20-odd years ago. And she'd got it in a display cabinet. And she said, "What do you think that is?" And I thought, "Well it's a cricket ball from when my grandfather used to play cricket above W G Grace." my grandmother said she'd divorce him. -She wasn't going to become a cricketer's widow! "and give it to me." with all the signs of the zodiac and the heavenly bodies depicted. that you shouldn't really touch the varnish ungloved. I presume you handle it always at home with gloves. Do say yes. -I think from now on, just do be a little bit careful with it. Captain Cook and the details of his particular journey. so that's a little clue. And going round, let's see what else we have that might be interesting. and worked out that it's attached to America. "New Globe of the Earth". the coffee houses were the centre of intellectual exchanges. would come in, and they'd compare their globes. whereas somebody else may only have his first expedition. -You love it, you say. so I know that the market is really, really buoyant at the moment. It's a little treasure and I'm so pleased that you brought it in. Have you ever really stood back and looked at this? -it could be... It's just classic. -She was already sitting in a chair 400 years old. -or his daughter, Elizabeth I.
these great boards coming out each side. really very smart, very smart. so he cut that piece under there and that piece over there. so many nails and pegs in there. The first time you would have only had two. -So very sophisticated for this period. this came from the Baltic rather than English oak. to have that much thought and skill go into making the chair. -I mean, we still make it today. and all the way down, you find this arm. Why? Because it looks French, it was a French form, that arm. It got smaller, sometimes fatter. -The arm went that way, right? was from primitive design like this. it's like a bit of old iron, it's just wonderful. I have actually taken a sit and it's not too bad, it's quite comfortable. -No, it's fairly strong still! -So now where do you keep it? and nobody actually sits on it any more. Why don't you sit in it? -Come on, come and sit in it. -It is quite comfortable really, yes. -You could watch the Roadshow sitting in it. -Well, I hope you do. -..its next rightful place would be in a museum. to be in a museum. We have to talk values, out of interest. I never thought it was going to be anywhere near that. a larger version of this, a remarkable statue, I thought. of Elgar coming to live and work in Hereford. So he was a son of the city, almost. His mother was a Herefordian. So he was a son of Herefordshire by both descent and residence. And cycling was a great source of inspiration and relaxation. And can you imagine what it was like cycling round here 100 years ago, roughly? Total silence, peace, bliss, no danger, it must have been wonderful. We can't ignore this either, can we? which Elgar would have cycled round Herefordshire and Worcestershire on. Right, this not his clearly, or I presume not. -No, it's of the period and make of his bicycle. and it had features that most other bicycles wouldn't have had. It's actually a very good example, and you paid how much for it? I think that's very good value, and he had a nickname for his bicycle, didn't he? the God of light, enlightenment and appropriately, poetry and music. "the trees are singing my music or have I sung theirs?" -because I know you two are sisters. But you've brought along a couple of your relatives, is that right? -OK, so just introduce me to the elder of the two. -and he was a minor poet and a bookbinder. -But, anyway, that is the daughter. -And this is the daughter? -Lilian, she's known as Aunt Daisy in the family. -And did you ever get to meet her? She lived to over 100. -I went to her 100th birthday party. That's a pretty good innings! And Lilian lived until 1993.
to the very first programme that we made in Hereford? Yes, but I think she lived in India at that time. -That would have been a bit of a trek! because it's all in a name, isn't it? -And he IS a great sculptor. and I said to my husband, "What are those?" and I said, "They're too beautiful to be shrouded in sacking!" -I can call her Daisy, can't I? Oh, yes, absolutely. She doesn't mind! Can I be so bold...? I don't know if they'll fit over her. Can we give it a try? Because I think it's only right. -Well, there you go, but the actual material is what? -They certainly look the part. -that this was the necklace. Can we just look at. .
-I want to give Lilian a bit of a turn if I may. and she spoke about seven languages. -All with a strong Germanic accent. ..but they're never inscribed with whoever the sitter is. -but a record of exactly who they are. -and I think youth could push this girl to £1,000 plus. That's very nice to know. Thank you. -Not at all, it's nice for the introduction. and I've always been interested in Greek myths. Right, do you remember what you paid for it then? Which I thought was quite a lot for a very cracked plate. and that's the date it was made. that was my thought, but I've always wondered if it was genuine. and that's the reign of Henry VIII we're going back to. -But English pottery was pretty crude at that time. and of course what we have here is a Renaissance masterpiece. and istoriato plates literally are story-telling plates. You'd learn your Bible stories and your myths from these pieces. which is really quite ferocious, isn't he, there? these were the colours you saw, so it hasn't changed. -this is really quite a good hand. a painter named Orazio Fontana but they are hard to pin down. certainly worth a bit more than £4.50! My grandfather gave it to my mother. Really? What a lovely present. And it was... I would think that he bought it at auction. And what kind of man was your grandfather? A very interesting man and very much into art and music. Well, he obviously knew his pictures because this is an absolute beauty. -It's by John Lavery, as I'm sure you know. he ended up in Paris and that's when it starts to get interesting. in a rather unusual way, actually. His studio in London burned down. and I think you can see that in this picture. But don't you think he painted it very quickly outside? and the side of her face there, that's just one single brush stroke. you know, he just wants to get to that lovely light. just with a few strokes. -It's a shorthand, isn't it? -did he? Do you know? £200,000, £250,000, that sort of thing. Yes, my mother always rated it. For some people, it's hard to imagine a Sunday tea-time without the Antiques Roadshow. I mean, what did we do? Stare into space, vaguely aware that something was missing from our lives? he was the host of the show that first day - is Bruce Parker. Bruce, you have a very great deal to answer for! How did it all start? and cities all over Britain where people were invited to have their antiques valued. discussed it with me and said, "Will you join me?" you know, and that was it. Yes, because we didn't know what was going to happen. but we didn't know if anybody would turn up. but subsequently we had to have security people and crowd control. Well, it's still, as you see, very well supported, lots of people. Has the atmosphere changed at all? not just me, but the experts as well. I mean, we had that, "How did you come by this?" because it's very dusty inside and slightly discoloured. Might have put some oil on it at one time. -which is really the worst place for them. Yes, it was all rather frightfully-frightfully in those early days! but a good story to go with it is what you wanted. Exactly, always the story clinched it. Mind you, it wasn't always all that smooth. I remember an argument between the expert and somebody who'd brought in a plate. and he said, "Well, it is, because the marks show it's 1910". "so it's got to be 180 years old." Well, you could make a TV set an antique on that basis! And indeed people came in, they really didn't know what they'd brought in. by ladies in church to relieve themselves during the long sermons. -You haven't got its cover have you, by any chance? it's probably in the order of £100 to £150. So you never know, you could be sitting on a fortune! During that first series you worked with the master storyteller, didn't you? as well with the public and he really got on well with them. but he'd say to people, "You don't want to know the value, do you? "You just take that home and take good care of it,"
and of course it wasn't quite what the audiences wanted, but he did know how to bring things to life. -It's really a fortune-telling doll isn't it? and lo and behold you could take any one you wish. You just pick one and let's see what luck we get between us. You couldn't have any better advice than that, could you? and perhaps a bit proud? Very proud to have been part of, and the start of, what is now a national institution. It's been a winner, hasn't it? And it's obviously going to continue. Well, this is a Jungle Book brooch, isn't it? It's the King of the Swingers... Have you worn it? I have, on an evening dress. to be more inspired in its composition, could you? -I mean, it's a fantastic thing, a monkey on a trapeze, isn't it? -And then, pearls at the end of the trapeze. -On pure gold. Well, it's a complete delight, isn't it? -I'm the King of the Swingers, Jungle VIP. that people would want very, very much. Tell me about its history with you. about 100 years ago from a Hereford firm. Oh, yes, we see it on the lid, so it's of local interest. with a white satin lid with the supplier's name on it. perhaps in pottery or in glass. perhaps, does that fit in with your family history? Yes, it would, my grandmother would have been married around 1900. And do you have any photographs of her wearing that? -and it would have been worn in the afternoon. A little tea-brooch, how marvellous, wow. -And did you know her? And what kind of a person was she? Very quiet, gentle, pleasant, typical Edwardian lady, really. -Yes, yes, but very kind. -lies in that memory of her really for you, doesn't it? I suppose. Have you ever had it valued? cos she lived to be 100, and I was told then about £400. We can safely add a nought to that and we might take it even a little bit further. -it might fetch £6,000, something like that. it's a complete delight and I was so thrilled to find it. I inherited them from my grandfather. she said to my mother, "Please, eventually, can I have them?" and my mother said, "Well, why not have them now before I move on?" so we don't actually know where he got them. so do you put a lamp in it? on the mantelpiece lit up, there are lights for these two. at Christmas with the lights on. so would he have been in Europe in about 1920? -and glass beads is very much an Italian thing. very Victorian but these are pretty modern in our terms. -They're sort of new antiques. Oh, fantastic! The colour is just fantastic. and we've never seen any others like it before. My wife's favourite, actually, is the parrot, she loves that one. it's going to reflect on the values that I'm going to put on them. -somewhere between £500 and £600. a slide would flash up saying "Would Mr Thompson of Copthorne Avenue return home at once." -But you've got a more romantic story than that. from my father for my mother and myself. -So your father was obviously away at the time? the Cheshire Regiment at the time. Well, here's the letter that came with the slide. "on Monday and during the week except Friday." "during the following week. Yours faithfully, Frank Slater." -So what does the slide say? -What did your mum think? to have gone and collected the slide. to take into the prisoner of war camp, Changi, in Singapore. and there were plenty of those around. -..after the British surrendered to the Japanese in 1942. -were your godmother's rations for the day? And everything, and her water and everything was in that for the day. And she never talked of it. Tell me about the book you've brought in. and it tells of their time in there. -your godmother's conditions must have been very, very similar. how is that she survived when so many others didn't? -she'd be there at the front. -She'd be waving the flag! with everything that's precious... and it's hers. in my mind that they were made by a very particular Victorian jeweller. You tell me what you know about them. I actually know nothing about them. -That's why you brought them. And tell me, how did they come to you? and I brought them all the way back, that's all I know really. -Fantastic, and you enjoy wearing them? I can tell you quite a lot about their history. they're signed on the back. -Have you ever wondered about these funny little tabs here? It says "C & A G" on the back. -working in the 19th century in London. to reflect that, in the Greek, Roman and Renaissance tastes. so we can date them very confidently to within 1895 and 1914. -and it's decorated with, as you've probably guessed, enamel on gold. in the sort of rather subdued palette, the black and white enamel. Do you like that subdued palette? Do you wear that one? I do, yeah, I do. Wear it what, on a chain literally round your neck and...? -That's very good because there's a little natural pearl there. -Sapphires and rubies and diamonds. on the power of the gem stones for its charm. it looks very slinky-malinky, isn't it? about another £7,000 or £8,000 for that one? scene of the very first ever Roadshow, and after 30 years still a very nice place to be. the River Wye and the cathedral and, I'm told, some very nice cider. for having us back, and from the Courtyard Centre for the Arts, goodbye. Michael Aspel and the team kick off their 30th anniversary celebrations with a tantalising taster of the special locations to come in this series. To get the party started they return to Hereford, the city where it all began in 1977. The Courtyard Theatre hosts the homecoming.